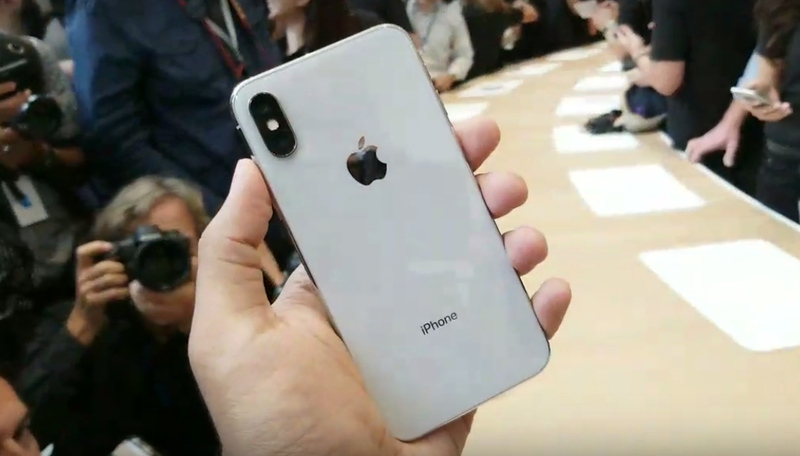 The stunning 10th Anniversary Apple iPhone model has just been announced by the Cupertino company via their Special Event held at the new Steve Jobs Theater located in front of the Apple Campus in Cupertino, California. 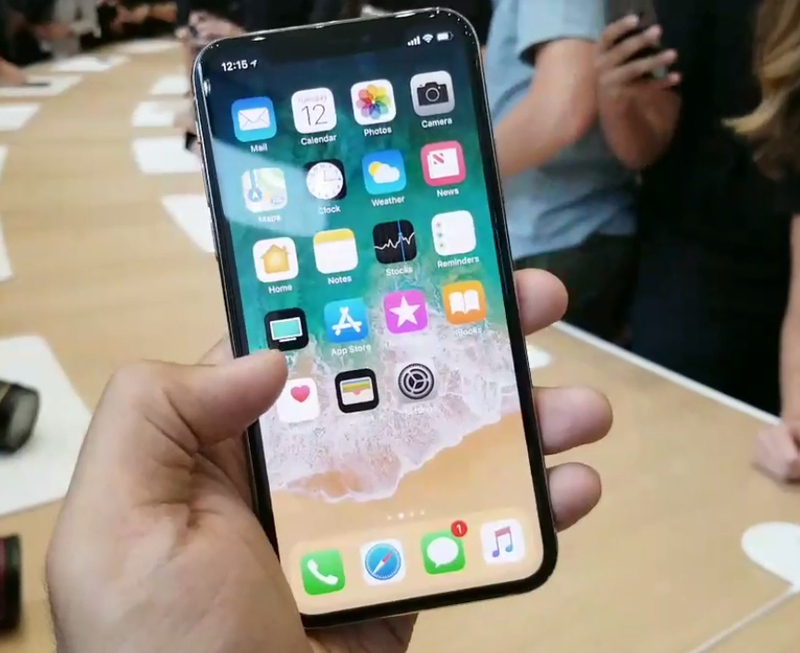 The all-new Apple iPhone X sports many features that we're seeing on the brand's smartphone for the first time, many of which have been done before by other competing companies. The most obvious key feature of this model is its near-bezel-less 5.8-inch display, which takes up almost the entire face. With 1125 x 2436 pixels resolution and high 458 ppi pixel density, this screen is the first OLED panel to be used on an iPhone, allowing the device to be thinner and lighter all while being more energy-efficient. According to Apple, they have addressed the main weakness of OLED screens, which is color inaccuracy, by incorporating True Tone Display technology. Oh, and if you're wondering, because the unit no longer has a Home Button, the user can simply swipe up from the bottom edge of the display from any application to return to the home screen or hold your finger in the middle of the glass face to enter the multitasking panel. These are two new Apple touch gestures that are introduced via this model. I would like to give credit to Chris Velazco of Engadget for all the images I used in this post. Another obvious key selling point is the iPhone X's new design language and construction. 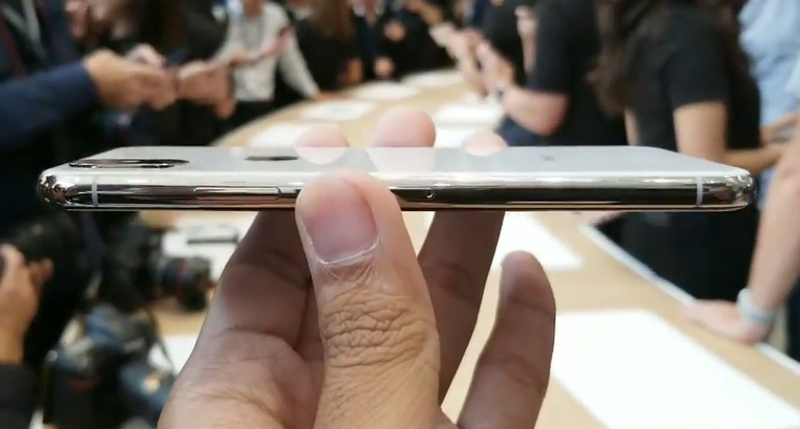 Although the rectangle-with-rounded-corners footprint is largely the same as that of earlier iPhone models and the IP68 water-resistant glass-metal-glass sandwich build is reminiscent of Sony Xperia and Samsung Galaxy S-Series devices, Apple iPhone X's stainless steel mid-frame that seamlessly meets the scratch-resistant glass panels exudes an air of elegance and sophistication that every exclusive handset release should have. 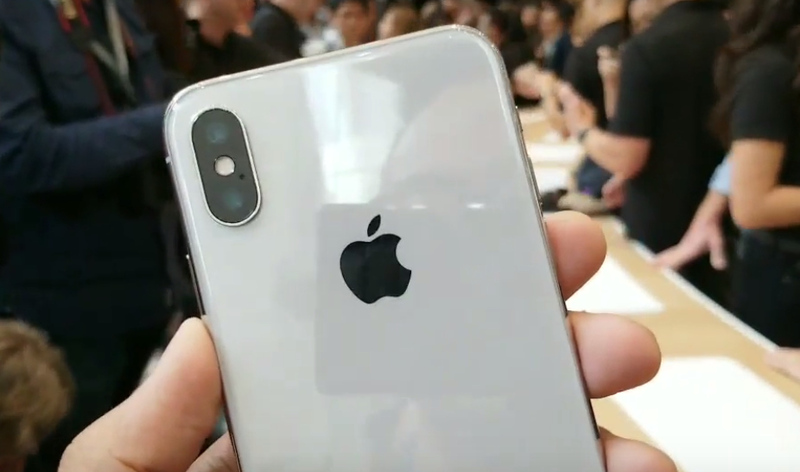 In terms of imaging capabilities, the Apple iPhone X is almost exactly the same as the Apple iPhone 8 Plus, which was also launched at the September 13, 2017 media gathering. Users will enjoy the same Dual 12 MegaPixel optics at the back with varying focal points and f/1.8 and f/2.8 apertures. This set-up makes 2X lossless zoom possible and allows the iPhone X to take portrait shots with digital bokeh effect where the background of the subject is beautifully blurred as well as Portrait Lighting that lets the user add various lighting effects to the face of the subject even before snapping the shot. As for selfies, there's a 7 MegaPixel f/2.2 camera with Retina Flash (or Screen Flash), Auto-HDR mode, and backside-illumination for relatively clear shots even in low light conditions. The one feature that I'd say is totally unique to this special release is its TrueDepth Camera in front which makes it possible to unlock the device via Face ID or facial recognition, a security feature that Apple claims to be better than a Fingerprint Scanner. With it, you can simply look at the front of the device to unlock it. This technology is made possible by a number of sensors lined in the small bar on top of the display, including a dot projector and an infrared camera for an accurate reading of facial features. There's also the specialized neural engine of the processor that's built for a set of machine learning algorithms so not even someone who's wearing a mask similar to your face can unlock your iPhone X. The True Depth Camera also lets you create fun Animoji or animated emojis using your facial expressions that you can then send to your friends and loved ones for a more accurate rendering of your current emotions. Going back to the processor, just like the Apple iPhone 8 and 8 Plus, the iPhone X runs iOS 11 with the all-new six-core Apple A11 Bionic chipset, which has two performance cores and four high-efficiency cores that are 25% and 70% faster than the A10 respectively. With this architecture, the A11 Bionic processor ensures maximum performance and energy-efficiency all while delivering 70% faster multi-thread workloads when running multiple specs-intensive apps and games. And on top of that, it integrates a new Apple-designed graphics processing unit that's 30% faster and 50% less power hungry than what's in the A10. With this new processor, iPhone X users can expect top-notch mobile gaming experience, even when running the most specs-intensive titles. And should your Apple iPhone X run out of juice at the end of the day, you can always charge it quickly using a supported Qi Wireless Charger. That's right! 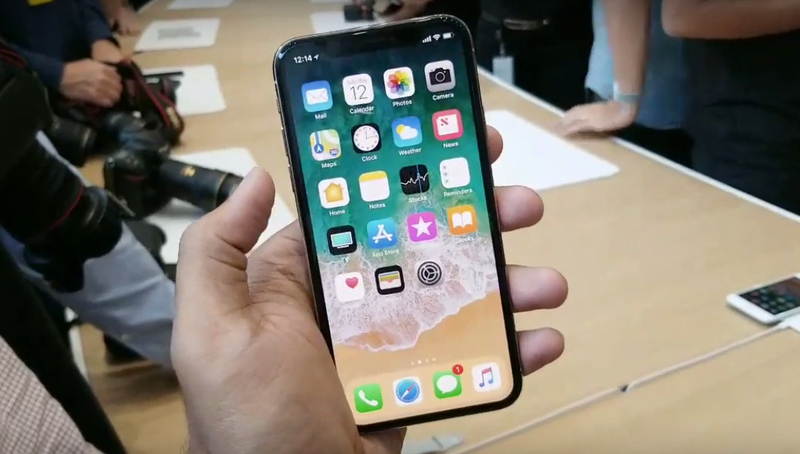 The Apple iPhone X is the first smartphone from the company to support cord-free charging; A feature that's been available on other flagship handsets for more than three years now. Planning to get the 10th anniversary iPhone? 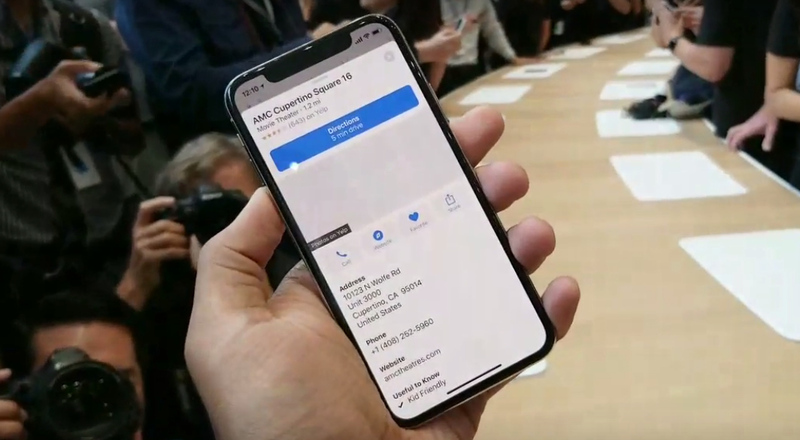 Well, the Apple iPhone X base model with 64GB of storage will set you back $999 USD or around Php 50,900 with current conversion and before taxes; This makes it the most expensive iPhone that the Cupertino company has ever released. For Apple fans in the Philippines: The company hasn't disclosed the official pricing and availability details of the iPhone X in our country. Nonetheless, Apple's network carriers have already confirmed that they will be offering the device via their postpaid plans. Expect this flagship release to be bundled with top-level or high-end data plans like Smart Postpaid Plan 2499.